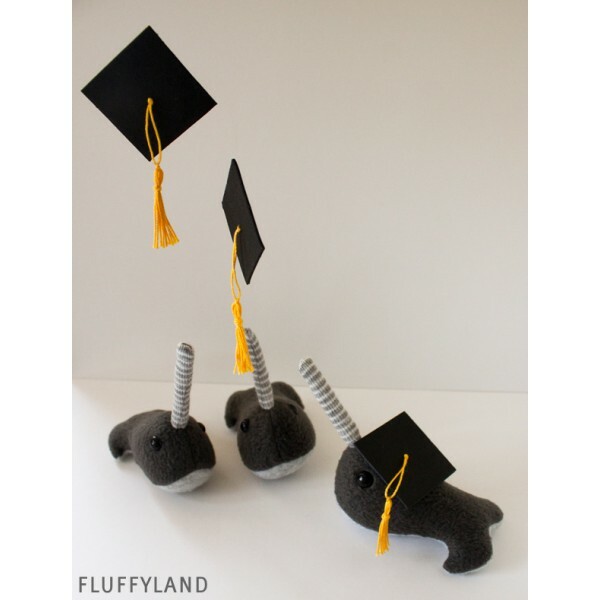 The only thing cuter than an incredibly tiny narwhal is an incredibly tiny narwhal with a graduation cap! 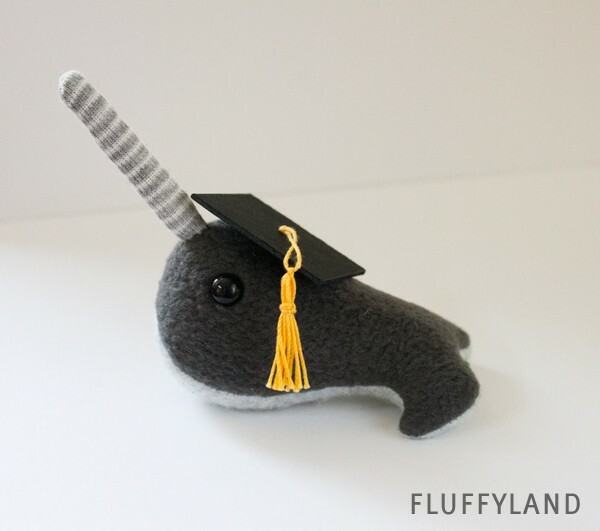 This tiny narwhal is the perfect gift for the awesome graduate in your life. The tiny plush narwhal is handmade from soft gray fleeces and has a striped gray tusk. The tusk is soft - nothing pokey inside - so he's great for cuddling. Graduation cap is handmade and securely attached but removable! So when you're done celebrating graduation, you still have an awesome tiny narwhal. This tiny narwhal is super tiny - measuring just over 3" from tail to nose, with a 2"long tusk. Made to Order: This item ships 3-5 days after order is placed. If you need it sooner, select "rush processing" and leave a note in the comments! Gift Wrap comes standard. If you'd like to include a card, just tell me what you want to say and I'll include it free of charge.